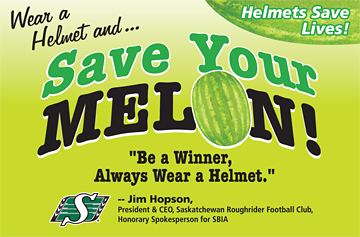 Support Helmet Legislation in Saskatchewan and your community by contacting your local Government Representative or Councillor. 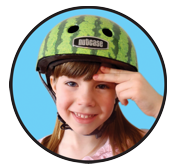 Eyes: With helmet on your head, when you look up, you should see the bottom rim of the helmet. The rim should be one or two finger widths above your eyebrows. 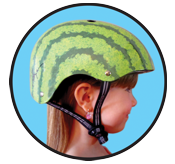 Ears: When buckled, the helmet straps should form a "V" under your ears. Mouth: Open your mouth as wide as possible. 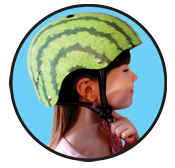 The chinstrap should feel snug against your chin, and the helmet should be secure on your head. Tighten, if necessary, to be sure the buckle lays flat against your skin.